We are yo-yo specialty store Yo-Yo Store REWIND. If you’re reading this page, that probably means you’re interested in yo-yo but you’re not sure where to start. Our staff of yo-yo professionals, with more than 15 years of experience, is ready to help you take your first step into your fun, new yo-yo life. Yo-Yo is enjoyed as a hobby and sport by people of all ages. Kids, adults, and even grandparents love yo-yoing. For the most part, a yo-yo is called “yo-yo” all over the world, so the name itself bridges language barriers. In many countries, yo-yo play tends to go through a boom in each generation, so there is almost no one who doesn’t know what a yo-yo is. For the record, yo-yoing is not just for people who are good with their hands. Even people who are uncoordinated can play yo-yo. It’s a skill that really anyone can learn! Nowadays, many countries hold regional and national yo-yo competitions to decide the top yo-yo champions. 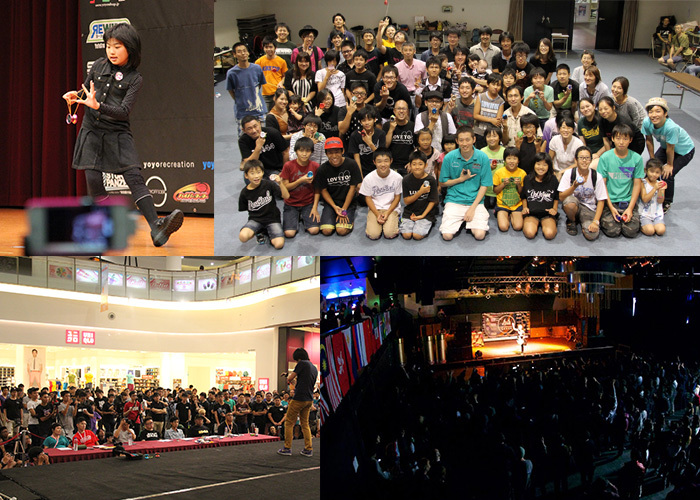 Also, even bigger multinational competitions such as the Asian Pacific Yo-Yo Championships, European Yo-Yo Championship, and the World Yo-Yo Contest happen every year. Yo-Yo performances can be seen on the street (think street performers), TV, the internet, and even in movie documentaries. For some, yo-yoing is not only a hobby. There are yo-yo players who have built their career around yo-yo, working as street performers, in circuses, and speakers at big international conferences. Yo-Yos are popular because of their ever-evolving designs and infinite trick possibilities, so the number of people choosing yo-yo as a sport is steadily increasing. 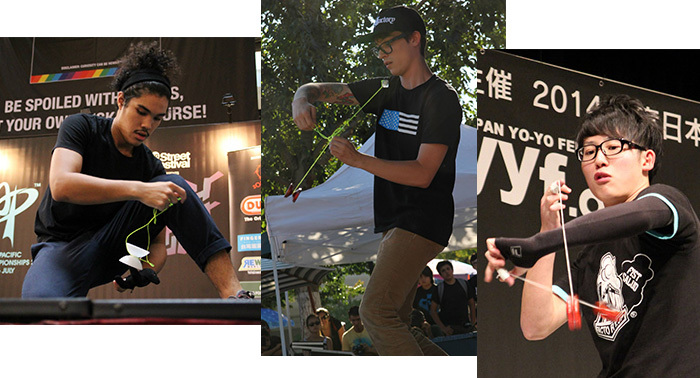 This is the video of 2014 World Yo-Yo Champion, Gentry Stein’s winning competition freestyle. Other than this style of play, there are styles that use two yo-yos, one where the yo-yo comes off the string, and more. Something that’s great about yo-yo is you can practice tricks any time you want, and in way that works for you. You can go at your own pace and discover many different ways to enjoy yo-yoing. Playing yo-yo is not only about competition. The Infinite number of yo-yo designs, colors and shapes makes yo-yo a collector’s paradise. Most players just enjoy the challenge of using their favorite yo-yo to pull off their favorite tricks. There are so many different ways to enjoy yo-yo and we’re here to help you find yours. Now that you have learned a little more about yo-yo, are you ready to get started? Let’s get you set up and ready to play!